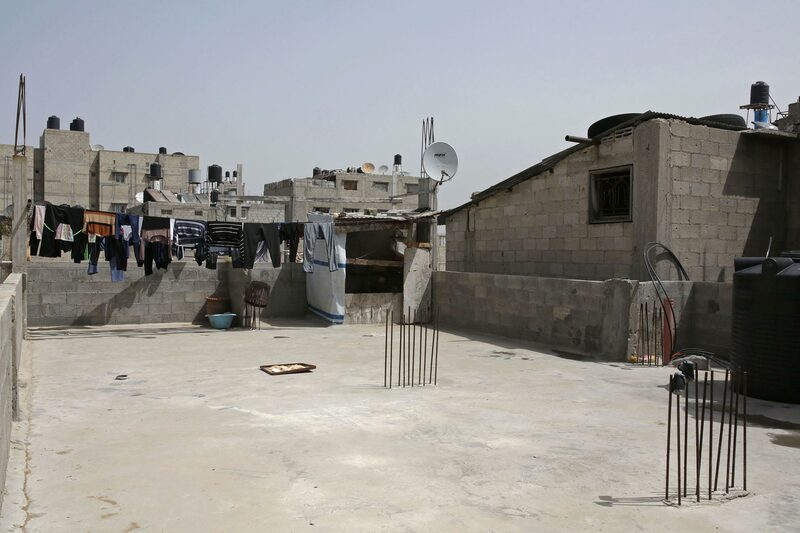 Like many families throughout the Gaza Strip, Kifah and Wissam have grown weary of the steady stream of journalists coming in and out of their home since last summer, asking them to repeat their story just one more time. “You come here, we open our hearts, you take what you want, go and forget. And we are left with all the painful memories again,” they say, but continue with their tale. “We named our only daughter Afnan, after a girl from Gaza who memorized the entire Quran and ended up on the news a few years ago. But Afnan sounds hard, while Fulla just rolls off the tongue. In the end everyone called her Fulla,” Kifah explains. Her parents named her Afnan, but everyone called her Fulla, or sometimes “Hassan”, a tomboy’s nickname, just to tease her. In the summer heat, without electricity to run a fan, Wissam and Kifah pull chairs up to the roof, hoping for a summer breeze to bring some relief. 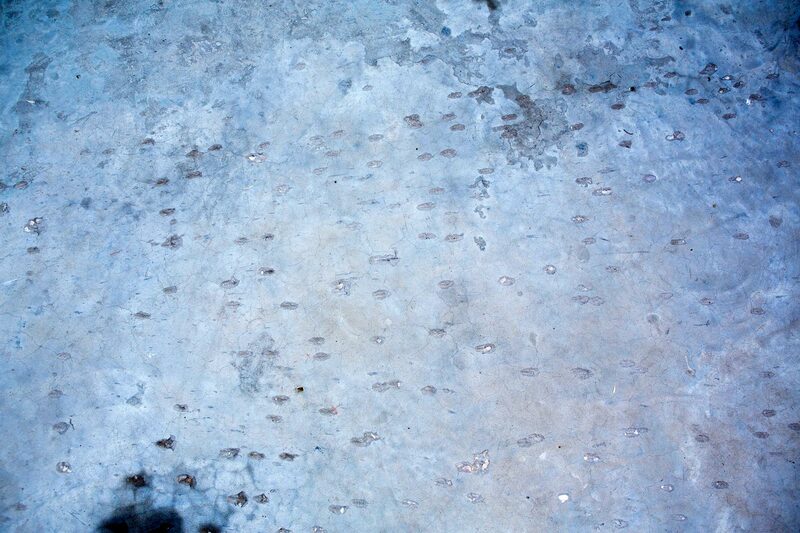 On the walls of the staircase, an irregular trail of white paint blotches marks the way up to the roof. In the corner, there is a small wooden hut, with metal netting instead of a front wall. It’s a birdhouse. Kifah says she’s been struggling this past year to keep her focus. “I’ve been distracted, I forget things,” she explains. Except for the memory of her loss; that’s always clear in her mind. 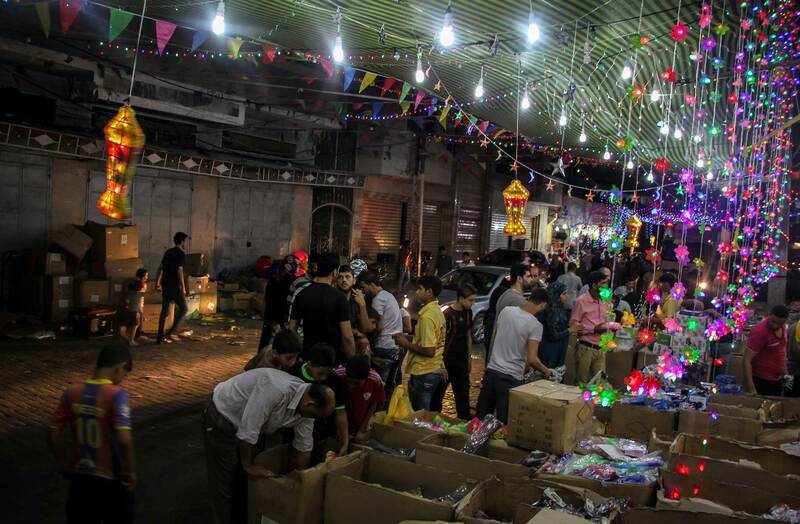 Though Israel had been bombing Gaza for nine days, people insisted on observing Ramadan, a holy month for Muslims, a month of fasting and a month of nighttime celebrations in the dim light of lanterns hanging across the streets. “Make the Ramadan a month of darkness for them,” a former Israeli Knesset member, Michael Ben-Ari, said to the Israeli public. 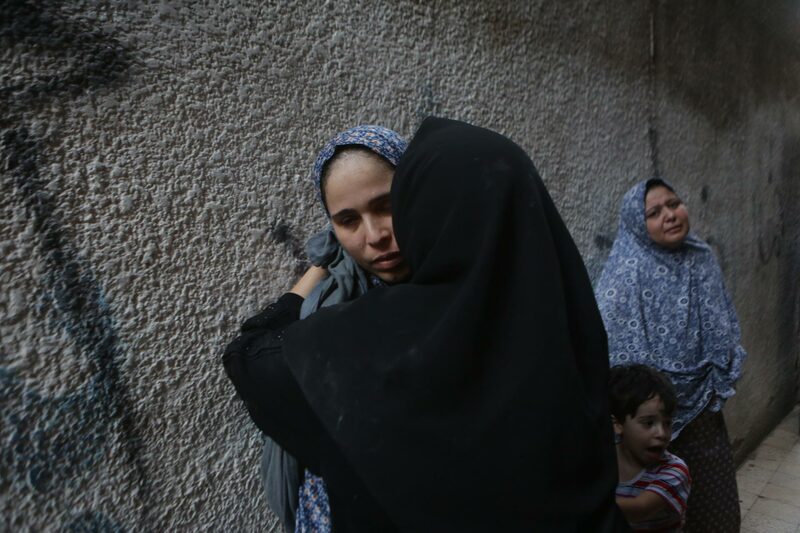 His call was answered: a few days into Ramadan, Israel began a military offensive on the occupied Gaza Strip, codenamed Operation Protective Edge, effectively turning what many Muslims refer to as the ‘holidays of light’ into nearly two months of darkness. RAMADAN NIGHT IN GAZA 2016 Ramadan, a holy month for Muslims, a month of fasting and a month of nighttime celebrations. In Gaza City, 8-year old Fulla was taking care of her little brother, Abdallah, just like on any other day during the Ramadan holidays. That morning, she helped him wash and change into clean clothes. She hugged him and told him: “I adore you, my brother.” A little later, she took off for her aunt’s house. Her aunt, as usual, began with her good-natured teasing: “You want to stay here? Give me a shekel.” Fulla dug a shekel out of her pocket, and with a heavy heart gave it to her aunt. “Okay, fine, you can have your shekel back if you clean the room.” The aunt was always pushing the little girl’s patience. Sitting on the roof, Kifah and Wissam talk about their family. “My brother and his wife recently had a baby. With my permission, they named her Afnan, out of love for my daughter,” she says. 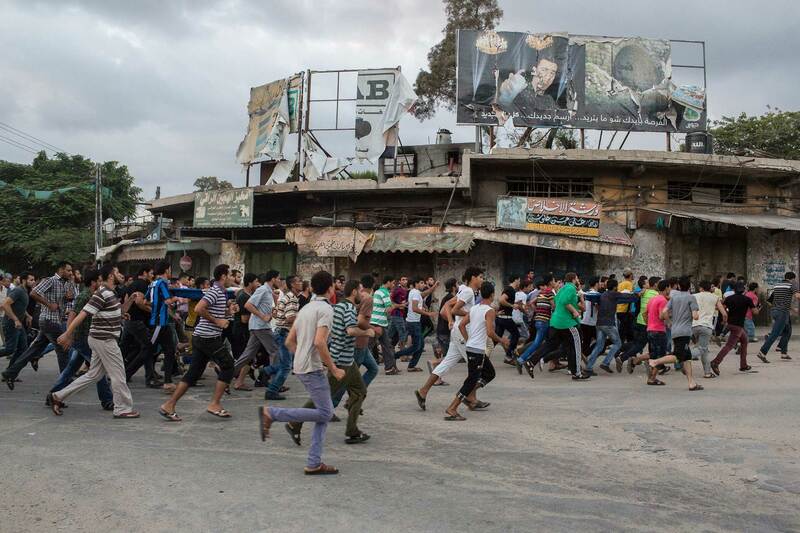 During the five-hour ceasefire, people scuttled around the city, rushing to get groceries and check on their families. At her aunt’s place Fulla was being teased once again and, taking the jokes too seriously, finally lost her temper. She left angrily and marched back to her house. She was expecting guests anyway. Like every Thursday, her uncle and his sons were coming for a family visit. Fulla was looking forward to playing with them. She was used to being the only girl among the boys in her family. They would usually go together to feed the birds Fulla’s older brother kept on the roof. During a few, brief ceasefires people rushed around the city to stock up on food and water. Fulla came home and prayed. She overheard the voices of her older brother Oday and three of her cousins, Basel, Jihad and Wassim, coming from the staircase, they were climbing up to the roof and carrying bird food. Naturally, she wanted to go with them. 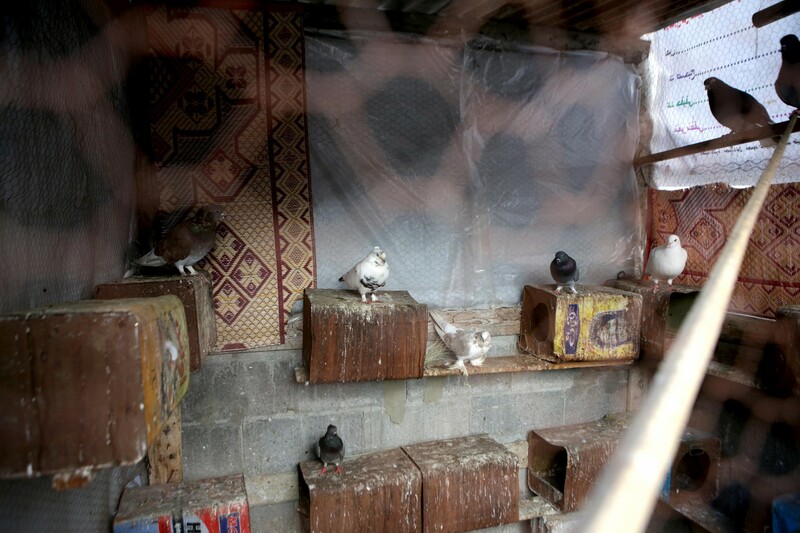 16-year-old Oday, who took care of the birds, told the kids to wait in front of the shed while he cleaned up inside. “Hurry up, we want to go in too!” They rushed him impatiently. Before the war, Oday used to have around thirty birds living in that shed. His father will later explain that many flew away and never came back. Being the only girl in the family among the kids her age, earned Fulla another nickname: ‘Hassan’ – a name jokingly used to refer to tomboys in Palestine. “When I teased her and called her Hassan, she would protest and demand: ‘Mama, give me a sister so I can play with her,’” Kifah says. Kifah was preparing iftar, the meal that ends the day-long fast during Ramadan. The sunset was still quite far away, and the afternoon had been relatively quiet due to the cease-fire. She decided to take a nap on the balcony before going up to the roof to fry vegetables. She preferred to do the frying up there, so as not to fill their tidy house with the smell. Kifah closed her eyes, losing track of time. The cease-fire had ended half an hour earlier. She heard an explosion. 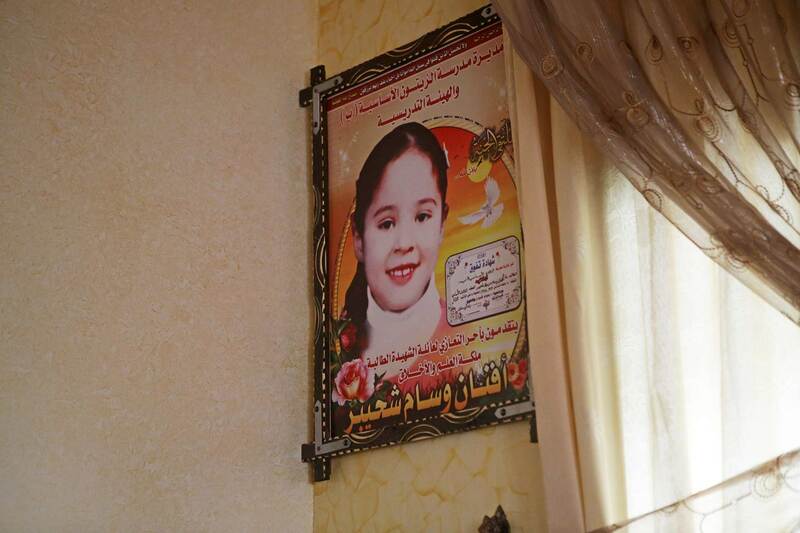 Everyone in Gaza knows that when you are in a house that is hit, the noise from the explosion is actually muffled. It’s the neighbours that hear it the loudest. Despite this common knowledge, it is always hard to believe that your house has been hit. But somehow, Kifah knew right away. Oday still struggles with holding a pen. For four months now, his mother has been writing down his homework for him. The nightmares that had haunted Oday stopped once he left the hospital and came back home. Surrounded by family and friends, he felt better. But his ability to focus was affected, and the hand injury made it difficult for him to take notes in school. Although teachers were supportive and understanding and his marks high, one day he came to his dad and announced he wanted to switch his high school programme from science to literature, which is considered an easier track in Gaza. His parents accepted Oday’s choice. “Whatever you want,” they told him. He used to be an exceptional student, his parents say, always getting top grades, just like his little sister. The nightmares that had haunted Oday stopped once he left the hospital and came back home. Surrounded by family and friends, he felt better. As long as no one brings up the attack. Kifah jumped up at the sound of the explosion. She ran to her husband Wissam. “It was our house!” She told him. He did not believe her at first. He looked out of the windows, searching for smoke rising above the neighbours’ houses, but saw nothing. As he rushed out of the room, he spotted a hole in the bathroom ceiling. “Oh God, the kids are on the roof,” he thought, and ran barefoot upstairs. A charity has approached Kifah and asked her if she would like to donate her daughter’s belongings. She refused. Fulla’s room looks just the same as it used to. Her clothes are neatly folded in a cupboard, and two dolls are propped on a shelf. There used to be three, but hours before their house was attacked, Fulla gave one of the dolls to her cousin. A missile fired from a drone hit the Shuheibars’ roof and exploded, sending shrapnel in all directions. The water tanks were hit, and water flooded the roof and the staircase. The explosion threw the children on top of one another, and Oday landed in the corner. Running barefoot up the stairs, Wissam injured his foot. He reached the roof and froze. “Oh God, oh God,” he kept screaming. Kifah speaks calmly, tears rolling down her cheeks. “She still cries at night,” says Wissam. “I asked her if she could cry less, because our wailing torments the dead,” he mentions, touching on an old Muslim belief. Repeating the account of the attack yet another time is tiring for the couple, but not nearly as painful as talking about the lost life of their little girl. “Fulla was excellent at school. She learned much faster than other kids. 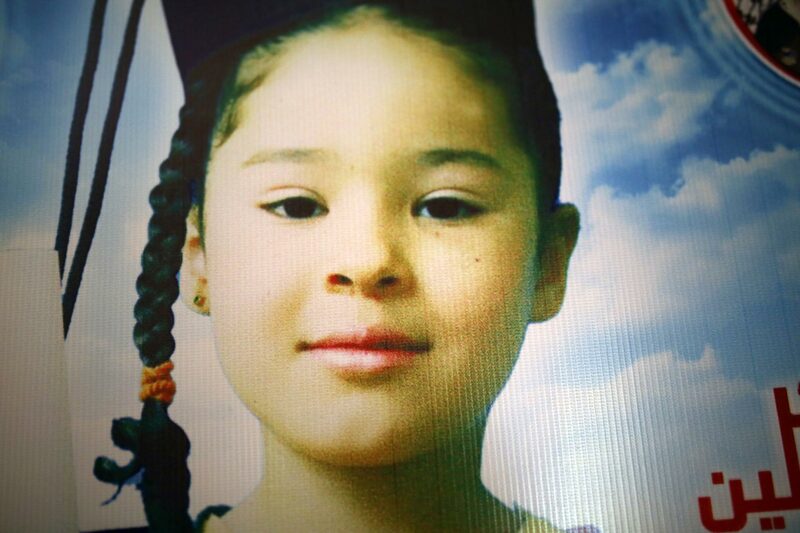 And everyone who knew her – in the family, at school, in the mosque – adored her,” says her mum tearfully. When Kifah cries, Abdallah tells her: “Mama, I know why you are crying, you are crying for Fulla”. Wissam saw the kids piled up together on the floor. “For a split second I was not sure what to do. I wondered if there would be another airstrike. I left it up to God and rushed to help them. My older son, Oday, moaned: ‘Dad, I’m injured,’” he recalls. In a total state of shock, he shouted at his son to be quiet and let him check the condition of the younger kids. The two brothers, Jihad and Wassim, were not breathing, but Basel and Fulla were clearly still alive. Wissam took the kids in his arms and tried to carry them downstairs, but the steps were slippery. The water from the exploded tank on the roof was running down the staircase. Barefoot and injured, Wissam slipped while carrying the kids. The blood of Fulla and Basel stained the walls of the staircase. “The soul was about to escape Basel,” he recalls. Kifah ran to the stairs and took Basel from him. Fulla cried: “Daddy, my hand…” He reached the entrance to the house, saw people gathering to help and passed out. The blood that stained the staircase walls has been covered with white paint. The bird house is nearly empty. “There used to be around thirty birds living in that shed. Three were killed, together with all the chicks. 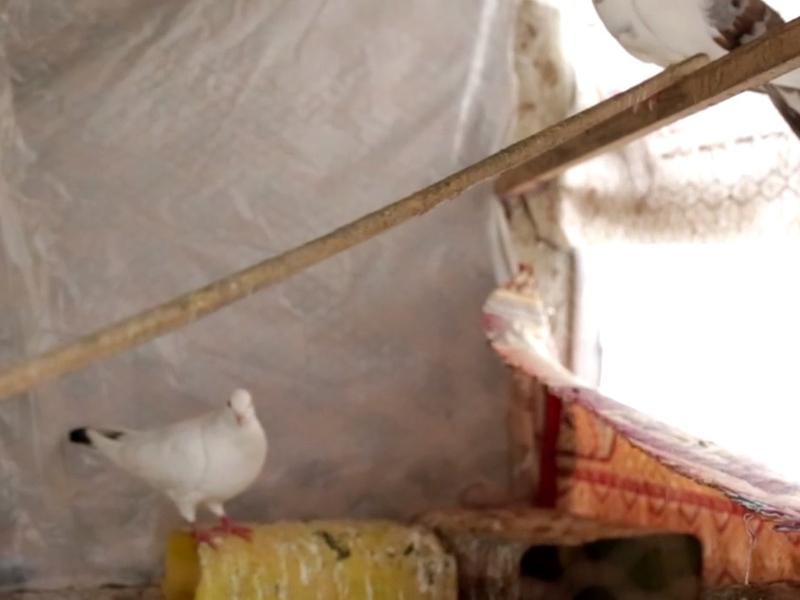 Many just flew away and did not come back, as birds do after an explosion,” explains Wissam. Oday was not able to keep on caring for the remaining ones. “Sell them,” his father told him. Today, there are only six left. Wassim and Jihad died on the spot. Fulla died on the way to the hospital. Basel and Oday survived, but both sustained serious injuries. This is Basel Shuheibar, 10 years old, just two months after the drone strike. When he gets angry, Basel smashes things. Or slaps his sister. The sedatives doctors have him take have not eliminated the angry outbursts. When he eventually calms down, the headaches kick in. The drone strike left him with serious head, arm and hand injuries. A chunk of his skull was missing. There was shrapnel lodged inside his head and throughout his body. He barely survived and lay unconscious for two days. Finally, Basel travelled to Germany to have the shrapnel removed from his head. His nervous system was damaged, and to fix his hand the doctors inserted metal plates to repair the bone. When we visited him, a year later to the day, he looked slimmer than in the photo, but also less worn out. He still suffered from angry outbursts but they were becoming less frequent with time. Basel didn’t talk much, but he wasn’t gloomy either. He actually smiled. 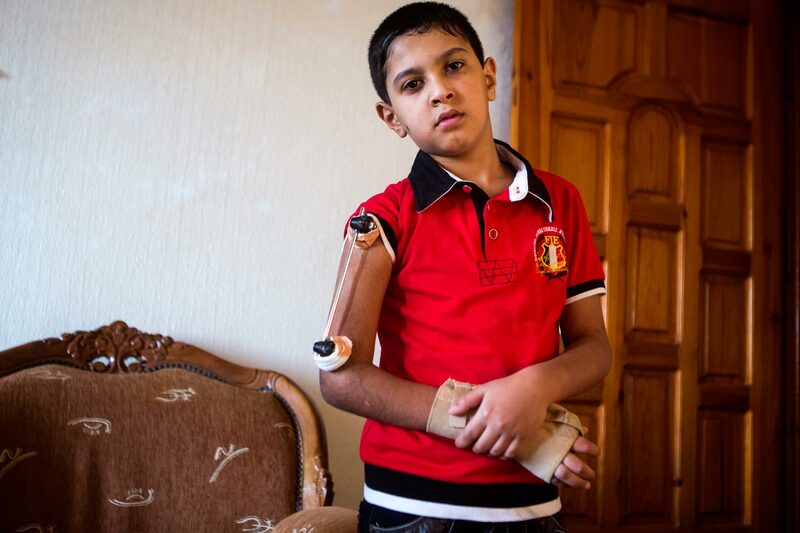 He had spent months in Germany and Turkey, undergoing surgery on his arm and head. His mom says that yes, he is doing better, but he also suffers from the pain in his arm and reoccurring headaches. His body is still full of possibly carcinogenic shrapnel. 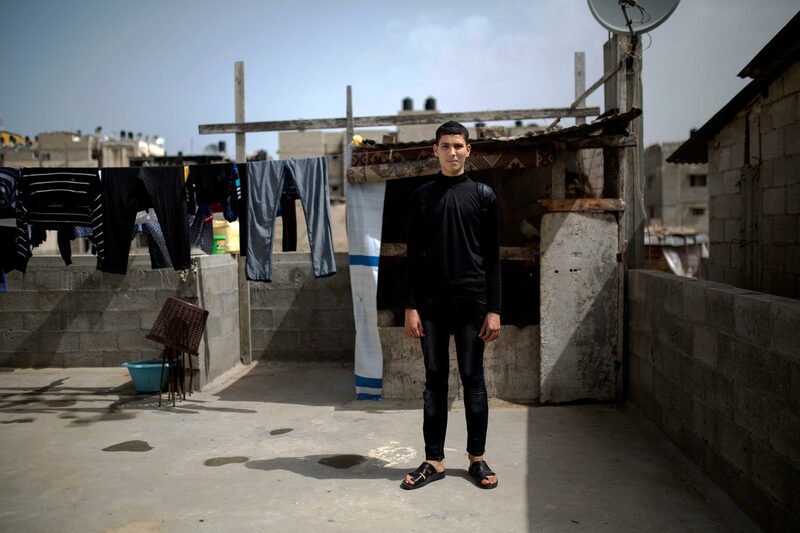 Like other children in Gaza who were traumatized during the war, he has been struggling in school; now concentrating for longer periods of time and memorizing things is much harder for him. Basel’s mother is doing all she can to help him: school is a must, and although for a few months the boy was not able to take notes with his injured hand, he still attended classes. Basel says the nightmares that used to haunt him during the first months after the attack are gone now. He stopped avoiding people all together, but spending time with other kids is still a challenge. “Because of my injury, I get tired, I have headaches. And I’m afraid my head injury could reopen,” he explains. So, sometimes, he prefers to be alone. From left, Wassim, Afnan and Jihad. 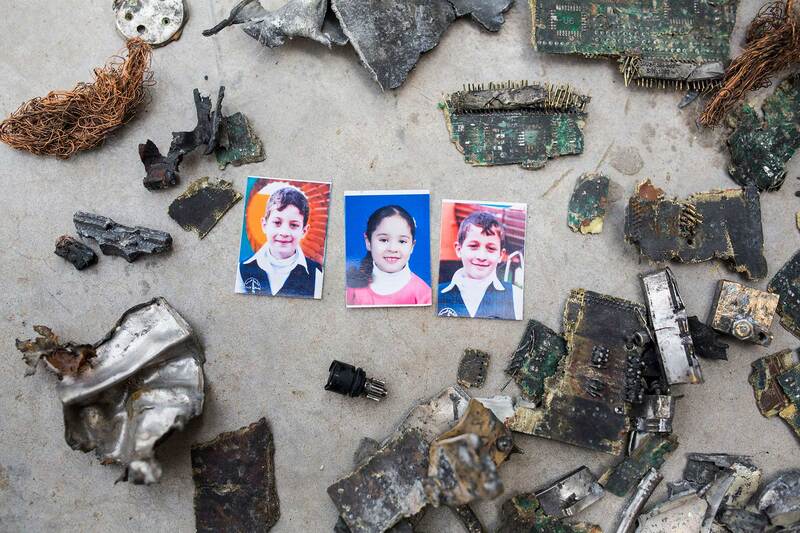 The small black piece in the center was part of the missile that killed the three children. It was produced in France. The Shuheibar’s filed a complaint against the French manufacturer for complicity in war crimes.